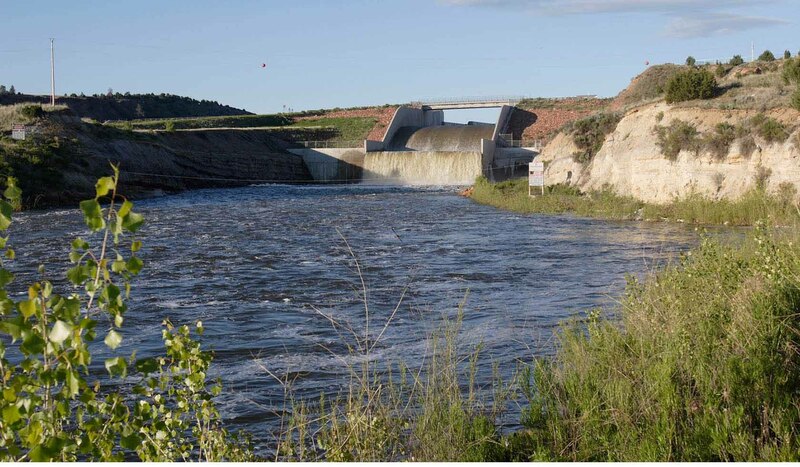 The impounded Tongue River provides a 12-mile long reservoir set in the scenic red shale and juniper canyons and open prairies of south eastern Montana. Large bodies of water such as this are rare in this prairie country and 50,000 visitors flock each year to enjoy the recreational opportunities. Boating and other water sports are popular here and the park boasts excellent bass, crappie, walleye and northern pike fishing. 4 state record fish have been pulled from its waters. The park is 642 acres in size and offers 40 paved campsites with electrical hookups at an elevation of 3,468 feet. The site has vault toilets, boat rental, fish cleaning station, groceries, LP gas refill, grills/fire rings, picnic tables, trash cans, and drinking water (5/30 - 9/1). A golf course and two museums are located nearby (26 miles south) in Sheridan, Wyoming. There is 14 day stay limit and pets must be on a leash. Existing ADA Level: Moderate Accessibility. Fees are charged for day use, camping and other amenities. Tongue River Reservoir State Park is located 6 miles north of Decker on Secondary 314, then 1 mile east on county road.Tongue River Reservoir State Park is located 6 miles north of Decker on Secondary 314, then 1 mile east on county road.